It is so easy to look at other people who seem organized and wish that you could keep your life more organized too. What you might not realize, being organized is something you can improve, you can work on aspects to make your life easier. It might never be perfect; however, you could practice some simple skills that will help you to structure your life and your day, making things easier and less stressful at the same time. It is so easy to wish that you were more organized, the truth is you can, it just takes time and practice to put systems in place that help you and make you feel organized! Have aMenu planning that you can write down notes and information on each day for your whole family! Write down appointments as soon as you know them, this helps to see if there are any clashes that need sorting out and helps to remind you closer to the time of the appointment. Keep school papers together, separate them into each child, this helps to ensure that you haven’t missed something. Keep these in a central location so it is easy for your child to attach any letters and for you to keep on top of paperwork coming into the home from your children. Have a list of things that you need to do each day, maybe use a planner to keep you focused along with your appointments and other tasks you need to do. Menu planning is important, not only does it save time, it can also save money too. Have you considered preparing extra meals for those busy days when you just don’t have time to cook, all you need to do is pop it in the oven and tea is a lot less stressful! Establishing a bedtime routine is a great way to reduce the stress of the morning, by getting things ready at night you are reducing the tasks you need to do in the morning and this can make mornings less stressful! Pack bags and lunches the night before and have them all in place ready to grab as you walk out of the door. This can save so much time from running around looking for items that you need for the day! Keeping on top of the laundry is important, it is surprising how quickly it can take over your home. Have a system and stick to it, I like to do at least a load per day and that includes drying it too! There is nothing worse than damp washing hanging around, it makes your home damp too! Clutter is a pain, the more you have the harder you need to work in order to maintain it. Having less stuff can mean a home that is easy to keep clean and organized! Routines are great, it means you can do things on auto-pilot and this saves thinking about the task, yet it still gets done! 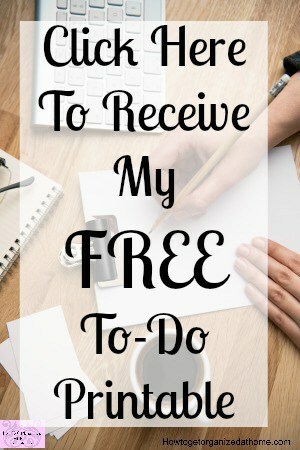 Write out a to-do list, just the top 3 things you need to get done today. Sometimes to-do lists become too long and unmanageable. Plan time to do your cleaning, this is not something most people like, but by allocating time to the tasks helps to actually complete the task. Learn to say ‘no’, it is one of the hardest words you have to say as an adult, but sometimes it is important as there are only so many things you can do! Keep social media to a minimum, it can easily overtake your life if you let it! Cleaning the area you are in before you leave it, is a great way to keep on top of your cleaning. Things you can do, wash up your dishes, wipe the counters down. Put away items after you have finished with them, don’t get something else out until you have finished what you are currently doing. This keeps your working environment tidy and less stressful. Getting up early, start the day on the right foot. At least get up when your alarm goes off! Eating is important, if you don’t eat the right food, you can’t expect your brain to function perfectly every time. Taking care that you are eating properly, taking the time to eat regularly then it will help you keep your mind focused throughout the day. The same for exercise, your brain needs this as much as your body, I know I am more focused on the day if I start it right with a walk with my dogs. Knowing your budget is so important, it helps you make those decisions throughout the day. Rather than hoping you have the money and trying to sort out your money when you have spent more than you have. Always have a system with you that allows you to take notes, it could be a pen and paper or just your phone. It allows you to write things down so you can refer back to it later and not forget something important. Having a family meeting is a great idea, you are then able to go through schedules together and work together on being organized. Set a rule, for everything you bring new into the home, something has to leave. This really makes you think when you want to buy something because you need to know what is going! Take a break! Remember you can only be organized if you take care of yourself too and this includes taking a break when you need it! It might help to keep your life more organized as you feel better and more relaxed! Therefore, if you are looking to keep your life more organized you might want to try a few things at a time. Working slowly to change how you organize your life and home, it is not something that you should jump into with too many ideas and concepts straight away, try one or two in the beginning and move forward from there! 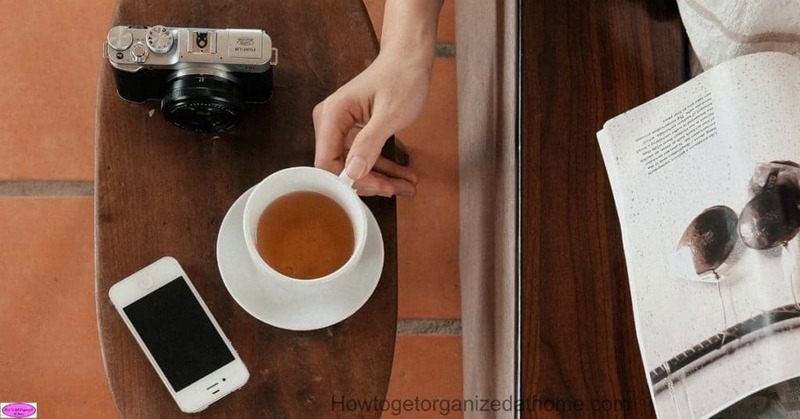 What are your best tips to keep your life more organized? Comment below! Looking for more articles on organizing? Check out this article I wrote: How To Break 5 Habits Of Unorganized People!